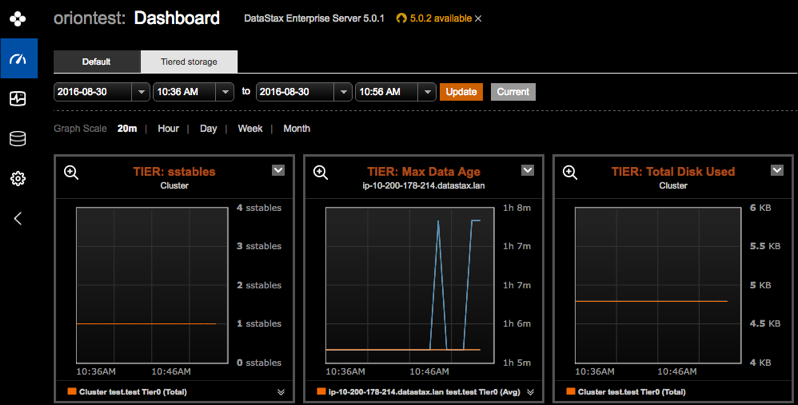 See DSE Tiered Storage for complete details. Optional: Clone the Default preset tab and give it a name such as Tiered storage. The Add Metric dialog appears. Choose the TIER metric from the Metric list. Choose the nodes to monitor from the Node list. Choose the tables to monitor from the Tables list. Choose the tiers to monitor from the Tiers list. The graph appears in the dashboard. 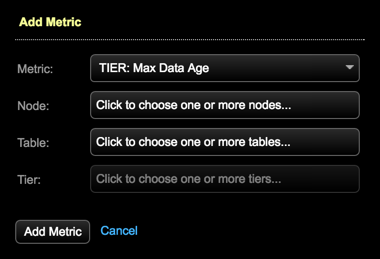 Repeat these steps for each tier metric and the corresponding nodes, tables, or tiers that you need to monitor.